Clark Honors College professor Melissa Graboyes has been awarded a National Science Foundation CAREER award for her on-going research on malaria elimination attempts in sub-Saharan Africa and on the island of Zanzibar. Graboyes, a professor of African and medical history, uses her research and expertise to examine the ethics and effectiveness of global health initiatives. Her current work highlights the history of failed attempts to eradicate malaria in Africa and Zanzibar. Specifically, it shows the lack of trust the failures have created between local residents and international public health organizations like the World Health Organization and the Gates Foundation, according to Graboyes. Malaria, a blood disease caused by parasites from infected mosquitos, is treatable if the proper medical services are available, but in developing areas, like Sub-Saharan Africa, the disease is deadly, killing over one million people every year according to UNICEF. The Gates Foundation has funded efforts to eliminate the disease for nearly a century, but even with billions of dollars and powerful modern medicine, Graboyes says, the attempts have always failed. She attributes this failure to the organization’s short-term memory—an inability to look at their pattern of failings and make adjustments. “I think they are setting themselves up to make the same mistakes again because they haven’t engaged with the historic realities of past attempts that haven’t worked out well,” Graboyes said. With malaria infecting an estimated 219 million people in 2017, Graboyes believes that another reason eradication attempts are failing is because eradication is unrealistic. Graboyes has completed field work in Zanzibar and research at the World Health Organization archives in Geneva. This spring she will visit the Wellcome Medical Library in London for additional research, followed by another trip to Zanibar in the summer. Graboyes’s CAREER award, awarded to “teacher-scholars who most effectively integrate research and education within the context of the mission of their organization,” will fund her research through 2024. 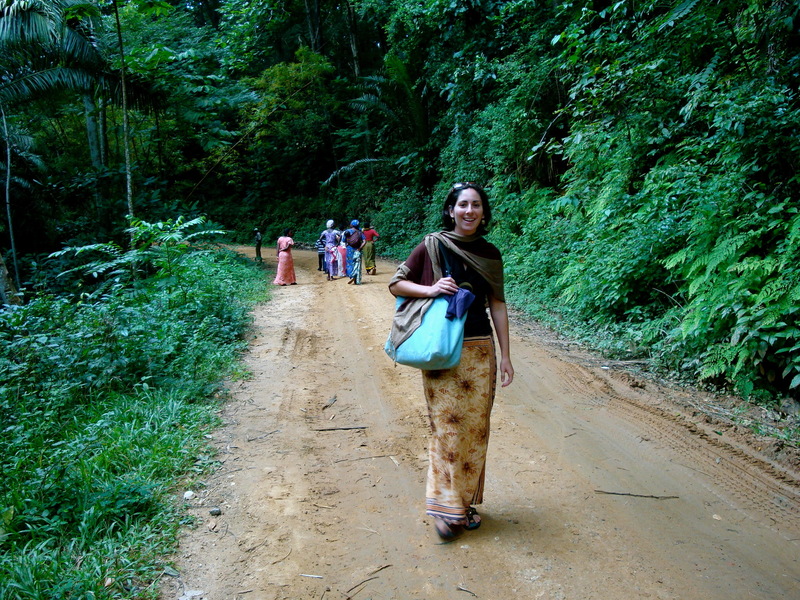 Professor Melissa Graboyes in Zanzibar. National Science Foundation CAREER award, for a project titled, “A Case Study of Malaria Elimination Efforts with Relation to Vernacular Knowledge, Expertise, and Ethics"
Millions of people in the global south live in areas with endemic malaria, especially in tropical Africa. There are renewed efforts for global eradication, yet the overall framing and planning of these projects rarely engages with rich historical realities and local vernacular knowledge. This project will reintegrate African vernacular knowledge, African voices, and the long historical record into contemporary discussions dominated by global health organizations such as the WHO, CDC, and Gates Foundation. The grant will support new research focusing on a century of malaria elimination attempts in sub-Saharan Africa and on the island of Zanzibar. The research will chart the global institutions involved, changes in disease environments, and risks that accrued to local communities. The PI will carry out archival, ethnographic, and oral research in Africa, Europe, and the US, drawing on 15 years of experience working in East Africa in the global health field. This award has two primary educational broader impact goals: 1) to have female STEM majors in the Clark Honors College at the University of Oregon broaden their understanding of what a scientist is to recognize the importance of history of science and social studies of science; and 2) to expose and train students to use social science research methods (primarily historical and anthropological) in their future careers. Key research/educational activities include: developing new STS/African Studies courses; running an undergraduate global health research group; hiring undergraduates to work as research assistants; serving as primary advisor for students writing undergraduate theses; and providing a year of mentorship for a post-doctoral scholar in STS/African Studies. My primary demographic for these educational activities is female STEM majors, though these activities will produce broader impacts for: students in the Honors College, students at the UO, local high school students, global health organizations and policymakers, and for the general public. Research findings will be disseminated in the form of a book, four articles, blog posts, conference presentations, invited lectures at universities, and student presentations. The five-year NSF CAREER award is exciting for how it allows me to not only pursue research on an important topic—malaria elimination campaigns—but also for how it allows me to involve Clark Honors College students in every step of the process. NSF funding will allow me to take CHC students with me to conduct archival research in Europe at the World Health Organization archives in Geneva, and to work at the Wellcome Library in London, and to hire nearly a dozen CHC students to work as research assistants with me here in Eugene. These students will learn how to conduct archival research and gain valuable experience for graduate school and future careers. It will allow me to continue running a global health research group for talented students who want to conduct thesis research on global health topics, and to develop new classes that address topics in Science and Technology Studies, global health, and African Studies. I’m so excited! !